Owly Baby: Calling all pattern testers! I have 2 new patterns that I've been working on. Late at night you can find me at the computer with the scanner, photos, measuring tape and a snack. I've been working on grading the pattern pieces and now I'm moving on to writing the instructions. The first pattern is an a-line jumper for sizes 6m to girls 5. It includes optional piping and pockets, a partial lining (not shown), and a centered back zipper. The second pattern available for testing is a romper for babies 3 months to 24 months. It has an elasticized waist, narrow bias binding straps and snaps between the legs for easy changing. P.S. You don't need to be a master seamstress or do anything especially difficult. I prefer "regular" pattern testers that accurately represent the customer base of Owly Baby. Thanks so much!!! If you would like your photo to be the cover photo - try to take the photo in natural light with an uncluttered background. Photos taken outside or against a blank wall look best. Also - try to highlight the garment (not the model). Close ups or interesting angles usually work for this. I'll need written permission to use your photo on Etsy or on the cover of the print version. 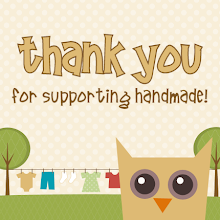 I'll also send you 3 PATTERNS of your choice from Owly Baby. I would LOVE to be a pattern tester for you. I've done some clothing for babies, but would love to learn to do more. I'd like to do either pattern or both, in any size. My baby is 10 months now, so if you want to know about fit. Sorry if you get this 3 times, I am having technical difficulties. I want to test the dress for a 3 year old. I'll let you know exactly what size she is ASAP. Thank you! Did you ever decide who? I've just finished up the pattern moments ago - and I had 3 winners! Yay! I know its ages since you posted this, but if you still need testers, I would be keen to do the 24mnth romper. I would love to get the Jumper pattern for my granddaughters, ages 4 & 6. I just love the dress! This is a wonderful pattern!And I haven't seen anything like it out there. Please let me know. I'd love to make these for the girls for when we go on vacation. I'm a seasoned sewist - but I've been away from sewing for 15 years and I'm afraid still I'm a bit rusty after so long. However, we've retired now and I just made the skirt, blouse and Jacket that I wore to my son's wedding and 2 quilts for my granddaughters. It's all coming back! Did you know that you can create short urls with Shortest and receive dollars from every visitor to your shortened links.